Your app's last version was released on March 21, 2016. It is important to regularly update your app. Best practices recommend to update your app every 4 to 6 weeks. This means fixing reported bugs, improving existing features, launching new features etc. Keep an eye on users' feedback. The next great features may already be asked by many users. 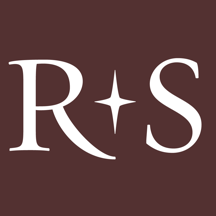 Ross-Simons Jewelry Finder from America’s favorite Jewelry store. Browse diamond jewelry and gold jewelry, the latest styles and fashion from Italy and around the world. We update our I-jewelry catalog every month to showcase great gifts and fine jewels. Free shipping and 100% guarantee. We travel the world to discover unique treasures and deliver value every day. Fabulous jewelry. Great Prices. Since 1952.